A Portland, OR Dentist winner of the Patients' Choice Awards. 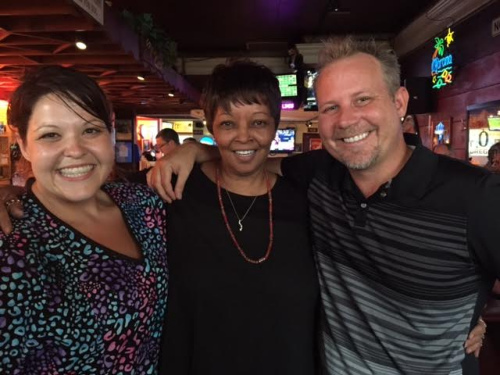 "Your staff is the best! Dr. Hahn and his staff are consistently excellent." "Service/treatment was top notch. Staff are all friendly and explain treatment plans in a way I can understand. Excellent dental care. Everything is explained in a way I can understand what I need to improve upon to keep all of my teeth into my elder age. I feel I am always respected and encouraged to keep better care of my teeth." "Tanya did a great job cleaning my teeth and was very courteous and helpful." "Outstanding visit, just what I expected, you are a great team." "Great place. Competent and friendly helpful staff." "Efficient, friendly, helpful. First time I was in, staff did not introduce themselves. This visit the hygienist introduced herself up front. Was happy to hear that an oral surgeon rotates through every month. Was relieved not to hear the phrase “huddle” which was used across the street. I have a bit of PTSD around it from years of huddles without change in the only gear that could fix the system. Felt my needs were addressed and communicated to team as needed." "I could not believe how wonderful of an experience visiting the team at Edelweiss Dental was. They were so helpful and welcoming, very careful to thoroughly explain every aspect from insurance to treatment to hygiene tips. Dr. Hahn was exceptionally sharp (you can tell he knows he stuff) and mindful to approach my care with great attention. The hygienist and dental assistants were equally dedicated to their tasks and you can tell they genuinely care for their patients. The office atmosphere is also delightful and I appreciated being welcomed by St. Apollonia on the mantel - a very nice touch in my opinion. It really was an ideal visit and I actually can't wait to be back for my next appointment." "I have been a patient at Edelweiss for a couple of years now and have always had a great experience with your staff! The dental hygienist (I believe her name is Tonya?) is so sweet and nice! Thank you so much for amazing service!" "They worked me in at the end of the day because I needed immediate care. It was a very positive experience. Everyone was very friendly and made me feel welcome. They explained my options and were very considerate"
"My visit was great and I really appreciated my hygienist! The staff are friendly and knowledgeable. Theey explained everything from start to finish and we’re happy to answer my questions. Great clinic!" "You can't change what is already perfect. Simply the best!" "In my opinion, everything is great in the clinic. Very neat place! Every time that I call or when come to the clinic, the receptionists are very friendly and kind. So that make me feel welcome and comfortable, specially that English is my second language. The Dr., and assistants are great! I give five stars to this Edelweiss Dental." "Been coming here since I moved to the neighborhood in 2014. Dr Hahn and his staff have always been very personable and friendly as well as providing excellent dental service. I always recommend Edelweiss to anyone looking for a new dentist!" "My new hygienists Lindsay was really great! Look forward to having her for the next cleaning as well. I have been using Edelweiss for more than 2 years now and always have an excellent experience. 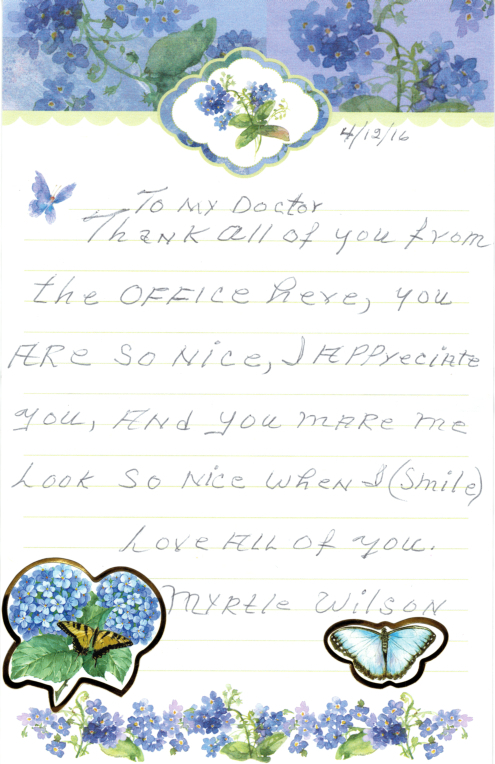 The office is inviting, the staff is more than friendly, and the docs/hygienists are top notch." " Gentle, thorough, and professional. This outfit really wants to see your teeth and gums taken care of. " " Wow, I don't think things can get any better unless you hired a waiter/waitress to serve me coffee...LOL. OMGosh, I have been very happy with my choice to switch to Edelweiss. I love the environement, the staff, my dentist, their sense of humor, I always feel welcomed and have too much fun there, which is not the norm at most dentist offices. I actually look forward to each and every visit regardless of the procedure. Best Decision Ever!!! " " I am so pleased by your services and all of my interactions with all staff! " " Dr. took the extra time to explain my issue and understood my fear. He assured me I would be in good hands. I will be back. " " Nicole was excellent "
" Even though I forgot about my appointment and arrived 20 minutes late (sorry! ), everyone was very nice, and you were able to do my full visit (exam + cleaning) regardless. Thanks so much, guys!" " The staff is great. I usually got in early. They made sure I got the next appointment I wanted and time. I couldn't ask for better staff to care of me. Their awesome." " I was very happy with the service I received. Every staff member I encountered was very helpful and cheerful. I appreciate the way everyone made me feel like an individual instead of "just another patient". Marissa and Tamie made check-in and check-out very easy and kept the paperwork to a minimum. They made sure I understood their instructions. Tanya explained exactly what she was doing each step of the way. She also explained the x-rays in a way I could understand and didn't rely on technical jargon. A few times other staff needed an item from the room. Tanya helped them but never made me feel that I was being ignored. Her focus was on me, the patient. I have been at other offices where I felt I was less important than people coming into the room. That did NOT happen here. Dr.Hahn was very professional and has a sense of humor. It is very apparent he loves what he does and knows the value of great patient care and customer service." " I had not been to the dentist in almost 10 years. Dr. Dole, Laura, Kendra and Tanya made me feel so comfortable. They were very friendly and professional. I left feeling good about my teeth again. I would recommend this practice to anyone. They are awesome"
"I don’t know how you could do better. Already the best! The whole staff is so friendly and humorous too! They are also very professional and knowledgeable." "The doctor and staff always explain everything. I came in early and they took me early so that was awesome. I am never had an unpleasant treatment. I recommend Dr. Hahn and his staff." "Great visit first time there. After changing a dentist i had for many years i was skeptical but the staff was professional, knowledgeable and displayed a genuine interest in me and my concerns." "Great people, very friendly staff, great service, the epitome of professionalism!!" "Going to the dentist is not something I look forward to, however, Edelweiss Dental makes it a very pleasant experience. The staff is very warm, friendly, and personable.. The office is spotlessly clean and the atmosphere is very calm and soothing." "I really liked the skilled woman who cleaned my teeth. She was very professional. As well as warm and personable. She had a very light touch, which I appreciate. My teeth are sensitive so going for cleanings can be a chore. But she did a great job, no pain, I almost forgot I was getting my teeth cleaned." "This is the first time I've gone to a totally, new to me dentist, & haven't been scared witless.... I know that part of it was being in when Dr. W. retired & meeting folks then.... I am a major dental chicken, so that was a positive for me. If you see Dr. W. tell him hi for me and that "I'm Back!!!!" just like I told him I would be. :-)"
"Dr Hahn is a very talented dentist with a pleasantly jovial disposition and a knack for making patients feel at ease. The staff is friendly, professional and well qualified. I wouldn't hesitate to recommend Edelweiss to anyone in need of dental care." "I came with an infection in a tooth. Dr. Colin Dole, gave me the time to explain about what was going on with my tooth. He was very busy with other patients, but do to the bad infection in my molar. Dr. Colin made the time and made the extraction. His assistant very kind and sweet lady. Both are great. Thank you very much for your help when I needed it." "As an adult, I have never had such a thorough and transparent dental appointment. I felt in-the-know from the moment I filled out paperwork at the front desk, and everyone I encountered made me feel at ease and treated with great care." "I appreciate the quick responses I have received from the administrative staff. So far my experience has been really positive!" "Tawny was great, very nice"
"After having my front tooth break off at the gums (yikes! ), I went to Edelweiss Dental to see what could be done. They offered me three different options ranging from a dental implant to temporary cosmetic flipper tooth, and explained the pricing and procedural differences. We worked out a treatment plan and everything worked out great. They are kind, considerate and professional, and after getting to know them through this experience, I wouldn't go anywhere else." "It was just super accommodating. My kids came with me (2 and 4 yrs old) and everyone worked as a big family to make sure I got my teeth cleaned and checked and the kids didn't wreck the place (just built a pillow fort and made a few friends). Thank you! Happy holidays :)"
"This is just a great team. Friendly, courteous and professional. All that you hope for in a dental office." "Everything went well. My mouth feels great. Thank you." "You are doing just fine keep up the good work! I had a very positive visit, everyone was nice and friendly. I have even recommended them to my daughter." "best dental visit in my life. and I am 56. ill never change dentist office." "Everyone at Edelweiss is very friendly and professional. The staff interacts so well together that they seem like family. The office is such a warm environment and they make you feel very comfortable." "Been coming here for years. Dr. Hahn and the staff here are really great! They always take the time to go over all our care and needs with us and he does a really excellent job every time we come in. We are really happy to have such a good dentist in our neighborhood!" "My visit went well. The team of dentists workers and nurses were all very nice and pleasant. Although my appointment was long, everyone in there was very nice, very patient, and had a great understanding of what they're doing. I would definitely go again." "Very Pleasant. Always great to be greeted by Toby. I am always kept abreast of my dental situation by Dr.Kai and Mckenie. Your tremendous Receptionist team of Tammey and the other lady who I do not know her name that always helps us get into the car. You all make coming to the Dentist a very pleasant experience." "Dr. Hahn provided a short term fix, then explained how a long term fix would better utilize some unfinished work by a previous dentist. The first visit was a good experience." "Great office! Everyone was so helpful, knowledgeable and friendly. So happy I chose Edelweiss!" "First time with Mackenzie. She is great!" "Explained different options based on what would be best and the different options based on price. Very helpful with what my insurance will pay." "What a friendly dental office! It was my first visit and every person I came into contact with was kind and professional. I am new to the neighborhood and this is definitely my new dental office, and will be referring family here too!" "My first visit to this office under our new dental plan- went seamless... Thank you. The Edelweiss Dental office location was very convenient and clean- The staff also was very professional and courteous so my cleaning went as expected. I was also able to understand recommendation and prioritize my option. I personally like going to the dentist however when great customer care which was not only for myself for the child friendly accommodation they provided for my ten year old son who had to waif for mom was priceless." "I was impressed with the staff and efficiency of the process. My exam was very thorough- much more than my prior dentist." "I absolutely love this place. My very favorite dentist ever what a wonderful staff"
"Y'all are doing everything right. A cozy atmosphere and incredibly nice people. One of the best places in the country!" 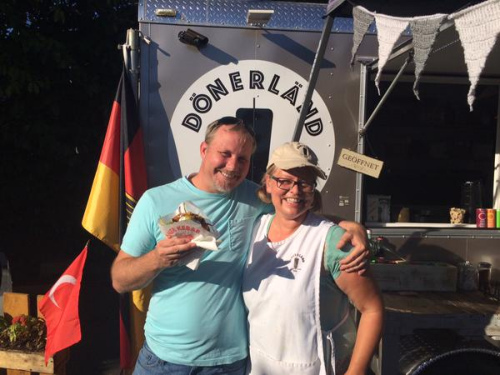 "It was our first visit to Edelweiss and so far we are very happy. My whole family is moving over to them and we look forward to many years together." "Dr Hahn is a very personable guy. He always makes me fell relaxed. I trust him 100% and he is very professional with his work"
"Thank you Dr Khan and staff. You always make my visits as pleasant as possible and filled with lots of laughter. My husband and I appreciate you all!" "I wouldn't change anything. I've already referred you to several people." "Thanks to Tanya for her excellent care and advice." "I think Dr. Hahn and the staff are great! I've got a new dentsit!" "I had a very good visit"
"I went in for a cleaning after a few years of neglecting my teeth. I had never been to Edelweiss before so I was a little nervous. They got me an appointment on short notice and shuffled their schedule around to make my day more convenient. I don't enjoy having someone scrape at my teeth but the entire process went smoothly. Very friendly and professional people." "I went in for 2nd opinion on 2 crowns and was so pleased with recommendations, I am transferring my care to Edelweiss. I felt I was given an honest answer about treatment and in this case no treatment was required. This was contrary to what I had been told at my old dentist, that both required replacement." "After many past years of sordid dental experience and fiasco, it's refreshing to finally discover and experience a dentist and dental system found in Edelweiss Dental! I'm very happy with them, and will continue to stay with this very professional and fun loving place! Thank you!" "Always a great dental experience. Thank you to your staff for the care and professionalism"
"Tonya did an amazing job. She was friendly, knowledgeable, and informative. I could not have had a better experience. Thanks!" "Nicest dental office I've ever been to." "Excellent! Wonderful place, excellent attention, friendly staff!" "Dr. Bird did an excellent job!" "Very nice and friendly staff." "Tanya and Doctor Hahn did a great job on my cleaning. They both identified potential issues with gum disease before they got worse. We'll be having a followup appointment to resolve that issue. I switched to Edelweiss last year, and I'm very happy with the service, expertise, and facilities." "comfortable office and overall atmosphere. super accommodating and very friendly administrative staff. dentist and technician were very friendly and provided a thorough explanation of my exam and overall dental health, as well as a comprehensive plan for addressing specific concerns." "Very relaxed visit. I was a little nervous as this was my first time, but felt well treated and very clear on what the next steps were. My dental situation is fortunately in good shape and I look forward to a long relationship." "Edelweiss is a great dental practice. Everyone seems very knowledgeable and I always have very high confidence in what they do and say." "Tawny cleaned my teeth and was very thorough as usual. She is always very efficient, friendly and makes sure I'm comfortable. My teeth feel terrific when she is done. From the time I walked into the office, I feel welcome and at home. Every one is very friendly yet very professional." "Enjoyed the visit. Staff is friendly, helpful, and pleasant. Doctor is easy going and very helpful." "I couldn't be happier with the service I received - above and beyond all previous dental experiences. I am extremely grateful for the 'welcome wagon' promotion and definitely plan to return!" "Dr. Hahn and the staff are really excellent, I always have a really good check up and visit there! Love this dentist office! They all do a really great job couldn't be happier!" "There's nothing I would change... The service is outstanding...I was looking for a dentist to pull my aching tooth... I called and they agree to see me even thought they were booked... gave me option and also a payment plan... I for one never enjoy going to the dentist but my visit on September 21 was very pleasing.... I would most definite refer my family and friends to receive the best dental care ever.... Looking forward to getting my needs met.... Thanks Edelweiss Dental Staff for your caring services...."
"This was my first visit to Edelweiss Dental and had very positive experience. Every person I encountered was friendly and professional. I also appreciated the thorough overview of my "dental status" to understand what needs done and what preventative measures I might consider. I felt like I was presented all the information without being pushed into dental work just to create more business. Truth be told, going to the dentist is not one of my favorite activities, but I felt like I was in good hands and like each person was going rondo their best to make my visit as seamless and positive as possible. I will be recommending that my husband pay a visit soon." "All staff were great. What a pleasant experience - starting with a comfortable environment and a very friendly staff. There was a happy comradery among the staff showing a close teamwork - like family. Then the star of the show - a beautiful friendly golden retriever as icing on the cake. Although I had been fortunate to go to the same dentist with similar experience for decades, I was initially worried to have to start with a new dentist after mine had retired, but Edelweiss Dental gave me the same warm kindness that I have come to expect from my dentist." "The office is very clean, and it is a warm and inviting space. All of the staff members were very friendly and welcoming. Dr. Hahn was very thorough but efficient in his exam, and he was very friendly as well." "As always my visit to the dentist went very well. I appreciated Dr. Hahn, his staff, and expertise. Looking for any other dentist is absolutely out of the question. Thanks ever so much." "All the hygienists are very good at what they do. For me Tawny and Tanya have taken the fear out of going to the dentist!" "I've already referred my husband and my colleague to you. I love this place!" "Everyone was accommodating and understanding. It's a team I enjoy. Great service. Everyone is so kind and seems to genuinely care, and does a good job. I had an emergency and they fit me in even when I wasn't scheduled. I fully understood what was happening and what comes next. Dr. Hahn is fast! " "Appreciated getting me in right away for a toothache I'd been having. Also grateful for office staff willing to work with me financially. Staff is always welcoming, kind and supportive." "Margie and I are very fortunate to receive our dental care thru Edelweiss Dental. We always look forward to seeing each of you"
"I came in with a broken molar in my upper right jaw. The situation was evaluated quickly and efficiently, and the evaluation was fairly priced. My options for repair were clearly explained, along with the plusses and minuses and prices for each option. The visit was cordial and relaxed, but also businesslike and professional. I do not have dental insurance, so payment and discount options were clearly explained; I am investigating future insurance options. All in all, the visit was very satisfactory." "I would like to thank the staff for my excellent care.Tanya is a professional and is very good at what she does. I really like Dr. Hahn's manner and understanding of me as a patient who has had years of dental procedures. Rachelle and Tami are a delight and most helpful with the financial part. It is, by far, the best dental care I have had, and that is saying something given the amount of work I have had done. Thank you." "Love the Front desk folks! Super friendly and excellent care. the hygienist was thorough and skilled - she did not cut up my gums at all. I have seen ALL the doctors and the specialist there and I loved them all". "The people are always friendly and they explain what they are doing I had seen cavitrons before but now I know what they do. Also when I asked about an abscess I was given layman's definition so that even I could understand it. You would be surprised how many people have been told they have and abscess that actually know what an abscess is. My procedure was explained in detail what was going to occur and approximately how long it was going to take. I was even told that when the injections wore off there may be some pain and they were right but it only lasted a few hours. Which is normal for a deep cleaning. At least now I know what the second half of my deep cleaning is going to be like and will be prepared for it". I thought everything was perfect. Absolutely the best experience I've ever had at the Dentist. Squeezed me in for an emergency, did a great job figuring out which tooth was the problem and took care of me. Can't thank them enough. Great staff. Can't say enough good things about them. "My experience at this office was absolutely superb. I was treated with kindness and respect and I truly did appreciate the service I was given." "Great office filled with a great staff." "The entire staff was extremely helpful and friendly! Thank you! I recently had my first visit at Edelweiss Dental. I was referred by a close friend. Everyone at the office was extremely friendly and helpful from beginning to end. My exam was thorough and I proceeded with a filling, teeth cleaning, and gum therapy. The dental assistant, hygienist and Dr Hahn were all very nice, professional throughout my treatments and took great care of me. I super appreciated the follow up call that evening to make sure I was doing OK. Their office is very clean and inviting. As a horticultural therapist I spend my professional life teaching people about nature and wellness. I was impressed and very pleased by the dental offices with windows that faced an open view of nature. This thoughtfulness goes a very long way in reducing patient anxiety. Thank you Edelweiss Dental, I will be back! The Gardening Goddess"
"From the moment I called to schedule my appointment, through the visit and at checkout everyone was kind, professional and helpful. 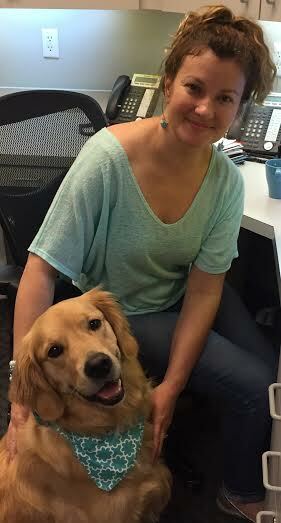 And having Tobie in the office is icing on the cake- he is so sweet and I really enjoyed being greeted by him. I was immediately relaxed and will definitely be referring friends and family to Edelweiss. It felt like the goal of the office was patient comfort and they hit it on the mark." "Everyone was very personable and positive and very professional. I feel very informed about what's going on with my teeth." "Loved it. Friendly staff. Nice, clean and relaxing environment. New cool modern tools for x-ray and teeth photos, that made it easier to see what was going on in my mouth. Free coffee is awesome." "Doctor David Kim and his staff were very attentive and kind. They explained every procedure very clearly. The space is attractive, in good taste, clean and welcoming." "It was truly the best dental experience I have ever had. I was worried about finding a new dentist because the one I use to go to I had been going to since I started growing teeth. But from the moment I called to ask questions about their facilities until the very end of my first appointment, I was given 100% customer service. Each staff member was positive, knowledgeable, happy, informative, communicated with me and was kind. I was actually shocked with each person who works at that dental office. Their positivity was so abundant that it made me happy and effected my whole day being a positive one. I was so happy that I had to call my boyfriend and my family and tell them of my great service i had. I will for sure being continuing my service there and thank you to the whole team for brightening day with their positive attitudes. They all seemed like they love people and their jobs." "Very thorough initial appointment. Staff is not only extremely friendly, but also very knowledgeable and passionate about oral health." "Wonderful, friendly group, always a blessing to be there! Took me right back. Because Dr. Hahn was finishing another patient offered me coffee, water, and magazines. Had only to wait a few minutes when Dr. Hahn came in and took care of my dental situation. Just Wonderful!" "Very warm and friendly. Everyone was wonderful. " "This was my first visit and I was very impressed. All staff were very friendly and professional. my check up and cleaning were extremely thorough. Buildings and grounds were exceptional. A+ "
"From the lobby to the staff's professionalism and courtesy to Dr. Hahn's skills and demeanor, my visit was about as good as a visit to the dentist could be. Edelweiss will be my primary dentist office from now on." "The staff, hygienist, and dentist were all very friendly. I felt very comfortable asking questions and asking for further explanations. I've been looking or an office in my neighborhood, and I am very please to have found Edelweiss." "Margie and I always look forward to our appointments. We have received excellent service from Dr. Hahn. My wife and i have been patients of the clinic for several years. Dr. Hahn and his staff consistently provide excellent care in a very professional friendly setting. I would encourage anyone who was seeking long term professional dental care to consider Dr. Hahn." "I greatly appreciate getting an appointment as a new patient same day as I called to fix my emergency crown before my trip. I'll be back." "Staff is so friendly - amazing place Dr. Hahn is the best"
"They called me several times checking on my pain status of a tough root canal. Very caring!" "The BEST part of our day is visiting with our patients outside of the dental chair"
"The staff was extremely friendly and incredibly thorough. Dr. Kai was so helpful , and did an awesome job explaining how my appointment would go. Normally I'm very uncomfortable at the dentist but this experience completely changed that." "You're all too waaaaaay happy! It's contagious! ;)"
"I can't feel my face when I'm in with you, but I love it"
"That little Happy Birthday video was so cute! It made me feel as if everyone was there! You are all so sweet & I have grown to love everyone very much! Thank you for taking the time to show love & concern my way! Have a wonderful week & God Bless! See you in October!" "I always enjoy my visits to Edelweiss Dental. The staff is warm and friendly, the waiting room is relaxing and inviting and the place is always spotless. There are other dental offices closer to my home and place of work but I prefer Edelweiss!" "Great office staff with a great Dentist!" "I love this practice. They have great customer service on the front end. I love the hygienist I've seen. She is the absolute best. Dr. Hahn is great. Friendly. I don't feel like they're trying to just sell me everything all the time." "I always feel good after Tawny cleans my teeth. 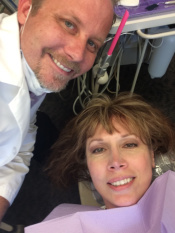 Tawny is the best hygienist I have ever had." "I was so thankful for the quick attention to my problem, as I did not have an appointment. Best Dental office ever! This has got to be the best place to go for your dental needs. Friendly staff and an excellent, caring dentist!" "I really noticed how everyone greeted me in a friendly manner. I also like how everyone explained what they were going to do before they did it. I know what to expect at a dentist office in general, but it's nice to get a heads up to be moved or if a certain device is going to be used. I really appreciated that." "To Kathy, Tawny, Latanya, Dr. Hahn, and the whole team: I just wanted to say thank you again for being so great! It's nice to walk in and not have to check in because you already know who I am and am expecting me. It's also nice that you all communicate and I don't have to say things multiple times. The food trap fixes are working out really well. and I wish I had known I could get that done years ago! I'm very happy!" "Everyone is so great! Coming to an office visit here feels like just visiting friends... Everyone is friendly and cheerful and genuine." "Friendly, pain free, informative, competitive price, close to home. Works well for me." "I don't fill out surveys very often but I really wanted to write something after my first visit to Edelweiss Dental because I had such a good experience. Everyone there was incredibly friendly and welcoming from the moment I walked in the door. The dental hygienist not only made me feel welcome, but she sat with me through a very rough experience (the fact that it was difficult was entirely my fault - they did everything possible to make me as comfortable as was physically possible) and made me feel as though she really cared greatly about my comfort and the pain I was in. They even called back at the end of the day to check on me and make sure I was doing better. The dentist himself was also incredibly caring and made me feel important even though I know he was busy and had other patients. He didn't make me feel as though he was rushed at all and took the time to make me comfortable even though they squeezed me in with less than 24 hours notice and it was my first visit." "What an excellent team! Very professional, friendly, knowledgable, and efficient. I am excited to have found a dental practice at which I feel I'm in good hands." "I was very impressed with everyone." "Great service. Dentist has great bedside manner. Overall, very friendly environment." "I first came to Dr. Kai Hahn office in Portland, Oregon as a walk in. My front tooth fell out of mouth. "GREAT "now I have to face one of my biggest fears. The dentist himself, a unbelievable fear is the way I felt.The last time I went to a dental appointment I cried and thought that dentist was so cruel he actually Pulled out my tooth with no compassion. I explained this to my dentist who now I call Dr. Smiles, he was so patient with me and understood my fears. His Chair side manners were very conforming, and he gained my trust after our first conversation. 3 months later my smile look like a million dollars. I am still in the healing process, I could go on and on but I won't, I say try him and his team they work as one.THANKS AGAIN DR SMILES YOU ALL ARE THE BEST EVER!" "Excellent customer service, very concerned with patient care. Everyone, from the front desk-billing-dental assistant-dentist-dental hygenist, were very attentive to my needs. They were very professional and informative throughout the visit, even afterwards. I have never been to a dental office that was so thorough in their care." "Everyone was great! Good first visit. I will definitely be a regular client from here on out." "Very professional operation with a warm and engaging staff." "Nicely decorated and clean facility, friendly knowledgeable staff and a thorough discussion of my dental care path all let to a very positive experience." "This is really a special practice. I felt really like great care was taken with everything. I will be staying at this practice, and will recommend to others." "I had a great first experience. I was in a rush on a holiday and they found me an appointment fast. Everyone was kind and caring. Now i have a great plan for the care of my teeth and I feel like I'm part of a new family"
"Everyone was friendly and ready to make your visit as comfortable and easy as possible. I really felt like Dr. Hahn did an excellent exam. Paid a lot of attention to me as a patient and tooth the time to get to know me as a person." "My husband and I have been going to him for over a year and are VERY impressed with the staff, service, and work. The staff all try to remember you by name and little facts about you (pet names, sick grandma, etc). At first it's a little disconcerting because it's clearly a deliberate effort but why WOULDN'T you want a business that tries hard?! They're always polite (Kathy at the front desk and Latanya a dental assistant is super bubbly). They provide great service by trying to make sure you're not in the waiting area very long and they have water coffee and tea. I honestly haven't waiting in the lobby for more than 5min. I'm also super satisfied with their hygienist who does the cleanings! She is extremely meticulous and makes my mouth feel so much healthier. I've also chipped a couple of teeth (within DAYS of each other!) and Dr. Hahn's office was able to get me in almost immediately both times!" "I really like the whole crew, including our new doctor. He is very enthusiastic! Wants to do the most he can to help me out." "When I walked in the door I was greeted very warmly and when another employee came to the counter I was greeted the same way again. both employees made me feel very comfortable and were very personable." "My son never gives me a hard time about going to the dentist. He is very comfortable there and our experience to date has been very good." "My experience was way beyond expectations, very warm friendly staff, considerate of my dentistry fears." "Dr. Hahn and Latanya are very personable and caring about your dental issues and needs. They make you feel important and validate your concerns!" "You guys are amazing and would never consider going any where else"
"Overall, it was a wonderful experience-from when I initiated the very first phone call, to when I left the office after my appointment. Everyone was really cheery, upbeat, and helpful. The dentist was thorough, and had a funny, sweet disposition making me feel comfortable after a previous bad experience." "This is a great Dentist Office. Plenty of advance communication about upcoming appointments, great office staff and a great Dentist make for a near painless experience." "The staff is outstanding.They all explain everything in as much detail as you require and they make you feel as though they are there for you. Dr. Hahn is a fantastic dentist. His work is superior in my book. He is very concerned with the patients comfort, always and foremost. Dr. Hahn always explains the options and the procedure in terms that even I can understand." "Very good understanding of billing process with insurance companies"
"I wanted to call and personally thank him, I am so happy there! This is by far the best bridge I have ever had, you guys are so good!" Best major dental experience I have ever had! "Wonderful, friendly group, always a blessing to be there!" "Second visit to the dental office- still impressed with the customer care I received." "Very friendly staff, always willing to help you in any way, good service and excellent care"
"All of my experiences with Edelweiss dental have been positive. I have required some extensive restoration and care. They have been professional, considerate, and well organized. I believe that I can put all my trust in the clinical and office staff to achieve the very best outcome for all my dental needs."